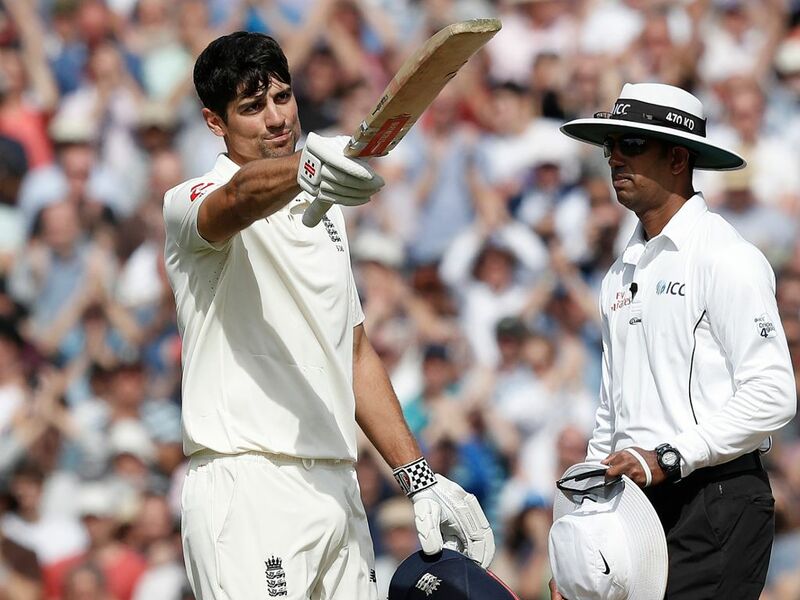 All the necessary elements aligned to give England opener Alastair Cook a fitting farewell to Test batting with a century on day four of the fifth Test against India. Cook and overnight partner Joe Root put the hosts back in charge of the match after Ravindra Jadeja’s heroics gave India a sniff. The pair took England to 243 for 2 at lunch on the fourth day with Cook bringing up his 33rd Test century along the way. Root himself would ton up after the break, which the signal for the pair to go on the offensive having established a brilliant platform for the middle-order. Dominant innings from the once and present skippers were ended by part-timer Hanuma Vihari who earned the prize English scalps off successive balls. Root (125) holed out to Hardik Pandya in the deep, on as a substitute, giving Vihari the peculiar honour of having his first wicket in Test cricket granted to him by a catch completed by the man he replaced in the team. Cook (147) fell shortly afterwards and England’s lower-order set about making some quick runs with Jonny Bairstow (18), Jos Buttler (0), Ben Stokes (37) and Sam Curran (21) all perishing in the cause while Adil Rashid (20*) was not out when the declaration came with the fall of Curran’s wicket. England had made 423 for 8 and India needing 464 to win made the worst start imaginable. Inside the first four overs India lost three wickets with Jimmy Anderson trapping both Shikhar Dhawan (1) and Cheteshwar Pujara (0) leg before. 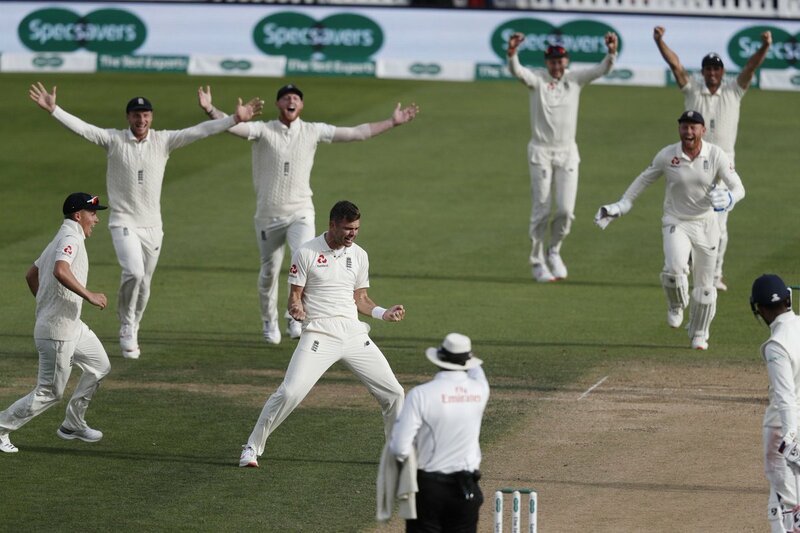 Anderson would be denied the wicket of Kohli by his opening partner Stuart Broad dangled a carrot outside off to the India skipper first ball and got him to nick off to end what has been a stellar tour with a first ball duck. Lokesh Rahul and Ajinkya Rahane might have done enough to raise India’s hopes of escaping with a draw by inching to 58 for 3 by stumps but a consolation win now seems out of reach.